The push to serve patients with a focus on their unique needs is on in full force. Whether it be genetic testing to predict response to anti-coagulation, recognition of the necessary Prograf dose as adjusted for metabolic variation, or a focus on specific social factors, personalization of the practice of Medicine is becoming a buzzword that’s hotter and hotter all the time. 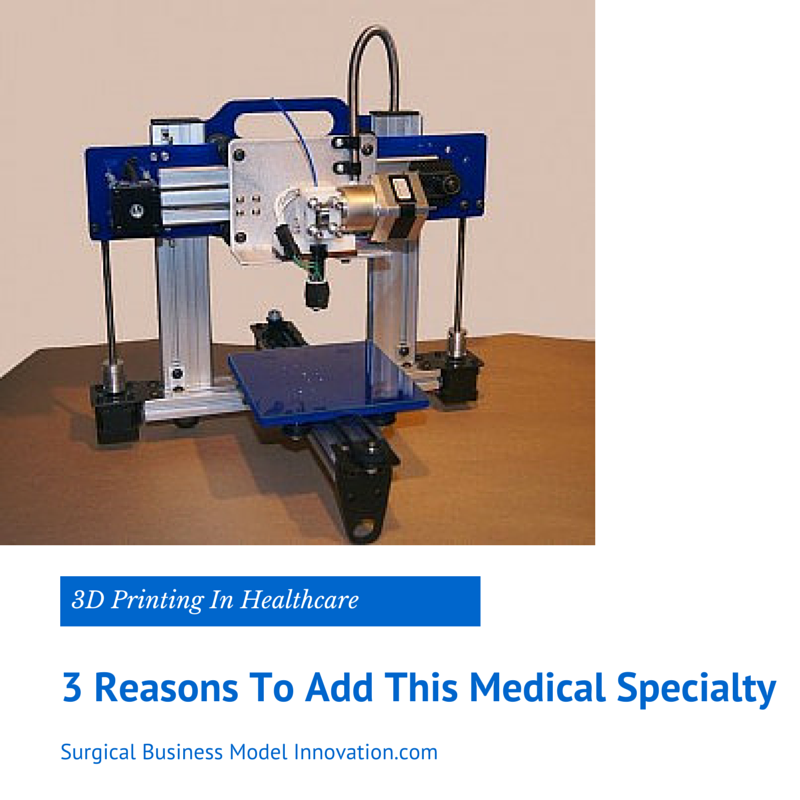 3D printing is a way to truly personalize that medical experience. The vascular surgeon can size your aortic graft preoperatively from a model created from your own CT scan…or surgeons can even replace / stent your trachea with a new one generated from images of your old one. This can already be done and is getting easier with time. So, much like the rise of Radiology focused on imaging studies, let’s consider getting really good at creating personal models, devices, and anatomic replacements by creating a field devoted to just that. Want to get really fancy? Upload your custom-tweaked design as an .STL file to the “app store” of compassionate-use approved, one-off medical devices. (Here’s something that’s an early version of what I describe.) No manufacturer could justify a large batch run of the perfect device you’ve created for a small (but important!) patient population…but those of use with printers (and those same patient issues you have) could go to the “app store”, download the .stl file, and create that medical device to solve their patient’s issue. A field devoted to creation of these models, knowledge of filament types, and understanding of model usage would go a long way toward spreading this technology. A 3D printer and system could allow creation of useful devices and models at even hard-to-reach, remote locations. Consider rural centers, international areas, and even forward military venues. Need a prosthesis fit to your patient’s stump? Make it from a white light 3D scan and printer. Viola. A team of Makers could easily be responsible for creating the prosthesis from imaging. It could ensure both fit and tensile strength. Just imagine a day where a patient has a CT scan and, immediately, necessary equipment and devices are created according to their own personal requirements. As physicians, we could create everything from special use medical devices (eg ostomy appliances that fit near difficult wounds) to highly personalized cervical spine immobilization collars. Want to take your gallstones home with you? (We can’t give them out anymore right?) Well now we can give you an awesome copy for your morbid fascination or other interest. Hospitals currently have add-on services such as baby photos and other fee-for-service add-ons. Perhaps 3D modeling could be another. Filaments like PLA and ABS are inexpensive, after all, and the initial costs would come, mostly, from a one-time hardware expense of less than twenty thousand dollars. …and if the hospital couldn’t make a business model out of the direct revenue, it could definitely justify the expenditure in terms of patient satisfaction and niche marketing. After all, I would be much more content, as a patient, if a physician could show me how my spleen was injured using a model of my very own spleen. I’d like to take that home with me, and would give even higher Press-Ganey scores to hospitals that could create that model of my particular injury and send me home with it. Will that hold for most patients? I don’t know…maybe a study is in order. Let’s consider creating a subspecialty of Makerology, where we develop a system of creating special use medical devices (we could even have an app store for the .stl files) for rural, international, or under-served areas. Yes, you know Dasher (and Dancer and Prancer and Blitzen…) but why, when you think of Santa’s reindeer, is there really just one who’s top-of-mind? Here we explore what makes Rudolph the Red-Nosed Reindeer, and what his classic tale can tell you about your startup business. When the Montgomery Ward department store wanted to create its own coloring book in 1939, the tale of Rudolph was born. What is it about the character that has made Rudolph “the most famous reindeer of all”? Rudolph is unique. Sure, he was laughed at. Aspersions were cast. 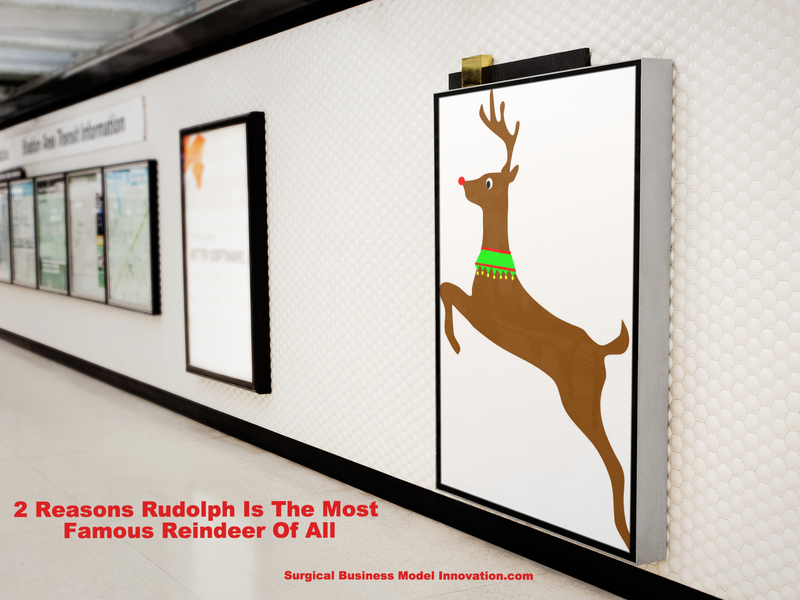 Yet, like it or not, Rudolph has one very obvious feature that is ingrained into what he is. …and being something unique, alone, is not enough. Rudolph’s nose generally got him laughed at until it did something incredibly useful. Once that red proboscis had saved the day, it didn’t seem so silly to have a large, red nose. The ability to translate uniqueness into value is an important essence of building competitive advantage. After the holiday season, when we all get back to work, it may be worthwhile to spend some time thinking of exactly what the “big red nose” is for you or your business. How, exactly, will you design a valuable uniqueness into your startup? How will you find what it is that makes your team go to the front of the pack? Until then, Happy Holidays from all of us at the blog. Whether you know it or not, negotiation takes up a huge part of your day. You negotiate with other attending or consulting physicians, nursing, administrators, insurance companies and even with your patients. Negotiation is an invaluable skill, and learning how to negotiate will save you time and headaches. I strongly recommend reading Getting to Yes and/or Getting Past No by William Ury. Both books are short, easy reads and are quite fun to apply to your daily interactions. Over the years I have learned what works (and what doesn’t) when I interact with my patients and, to some degree, with my colleagues. It wasn’t until I read Getting Past No that I was able to put it into words. If only I had read this earlier! (4) and making the process as simple as possible. Now think of all the situations to which you can apply this skill. Think of your last interaction with a difficult patient or decision maker. Were they overwhelmed and feeling powerless? Did they truly understand the situation and consequences? Were their expectations reasonable or unreasonable? Was there something about the patient or their family that was important to them and unknown to you? Had they previously acted in a way that was embarrassing or damaging? Had they somehow offended you or your staff during a stressful situation? We have all dealt with patients (or their families / representatives) who have felt like this. One way to augment your interaction with them, especially in times or stress, is to build that golden bridge. Involve them in the decision making process by asking about their expectations and realigning them early on. Prod them for information on their concerns and wishes so that you become aware of any unmet needs. If they acted rudely or made outrageous demands, then let them know it’s ok. Give them a chance to save face by allowing them a fresh start and by all means, do it with empathy. Chances are this is the worst day of their life (and just another regular day in yours). Finally, boil the options and interests down into a few simple choices. When you are able to provide your patient with a few simple choices (that they “helped” to create) you will find that everyone is happier with the outcome. …and voila. You’ve engaged them in the decision making process while allowing them to both maintain control and save face in front of the group. As an added bonus, you’ve reminded them of another time when they made an excellent choice which will also increase your influence over their present decision because they will want to be consistent with “their” previous choices. Wouldn’t it be nice if all your negotiations in hospital could go this well?! In closing, I will again urge you to invest some of your time into reading a little more about negotiation. It’s a skill that most providers undervalue even though they use it everyday. In the beginning, using advanced tools like the golden bridge may feel like manipulation–however it is NOT. Yes, we all know that the surgeon’s ego is strong (and it has a purpose), but this technique is about influencing things when, at times, other people’s issues may be getting in the way of the best outcome. Negotiation is not about winning arguments or getting what you want, it’s about coming to a solution that maximizes results for everyone. Try it! Some ideas are so obvious that we ask ourselves “why didn’t I think of that!!! !” The truth is “obvious” usually means the idea is not patentable–especially when others “knowledgeable in the art” are also working in the field. Before spending your money, it’s not a bad idea to get a sense of the “mine fields ahead” when deciding to pursue a patent. This can be done simply by visiting the United States Patent and Trade Mark Office Web Site (www.uspto.gov) and conducting a patent search. By doing this you should get a sense of how “crowded” the field is, and, from closer examination, where the mines might lie. How Do I Protect It? It is very important to protect your Intellectual Property (IP) starting Day l. You do this simply by putting on paper (preferably in a buond book) a detailed description of the idea and how it works along with your signature and date. (There’s a nice “inventor’s notebook” that I found on Amazon here.) Once this has been done, explain your idea to someone until they fully understand it. Then have them sign and date your idea. Going forward from there, understand that (if you are “sloppy” with your IP and not make an effort to protect it) you may find out in court some day that you lost your patent protection. So use Non-Disclosure Agreements (NDAs) when you talk to someone who may be in the “business”. Don’t copy and distribute information to anyone just because they ask for it. The truth of the matter is your IP is not worth much…until you start doing something with it. The value of your IP builds as you accomplish key milestones. Examples of key milestones are: the granting of a patent, the building of a proof of principle model, the building of a working prototype, completion of clinical trials, and FDA clearance to market. 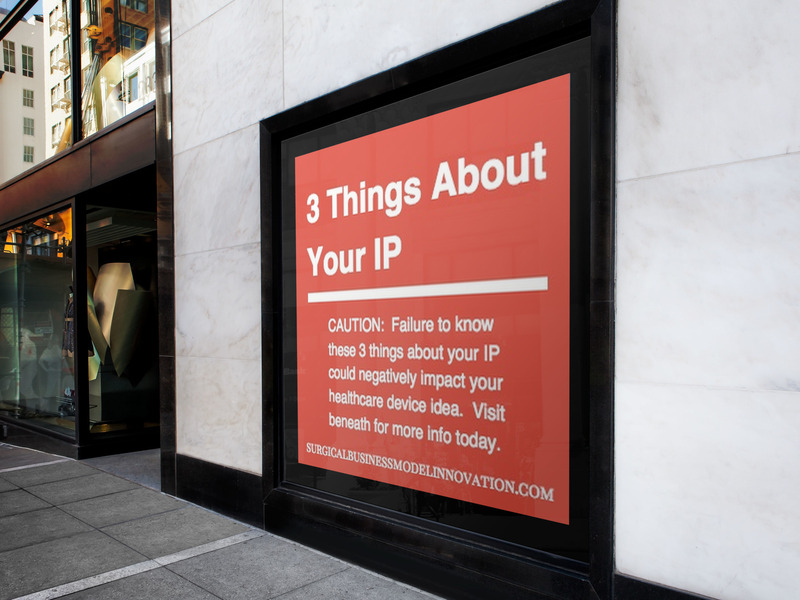 In general, the further you develop your IP the more it should be worth. This is because you are reducing the risk and taking out the “unknowns” from the valuation methodology equations for potential investors. This makes investors more likely to purchase your IP and, so, makes it more valuable. At the end of the day, the larger question of what your IP is worth is not very straightforward. It depends, also, on many additional factors (besides completion of milestones) including the size and growth of the applicable markets, competition, cost, and pricing. We’ll cover some of these elements when we discuss more about your IP in upcoming entries. As for now, remember: your IP increases in value as you decrease potential downside risk for anyone who would be interested in purchasing your protected idea. “Obvious” idea that’s difficult to patent? Poor protection? “Sloppy” protection maintenance? Less valuable IP. Until next time: keep on developing your ideas, and get in touch with any questions or comments! Does Your Device Save Time or Improve Outcomes? 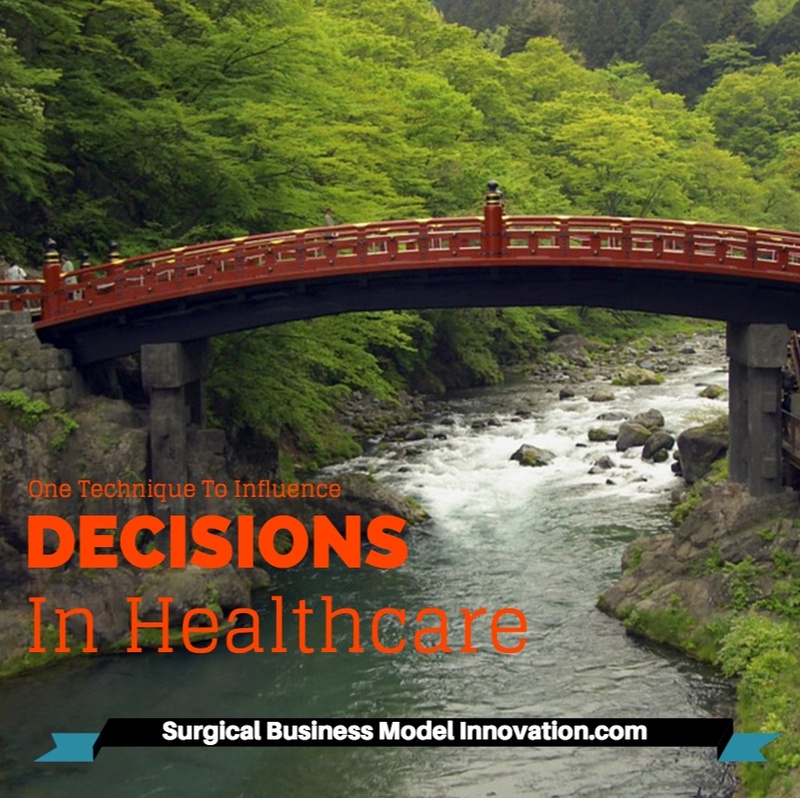 Inventions that improve surgical outcomes and / or decrease operative time are the engine that has been driving the Medical Device Industry the past 30 years. Chances are that, if you are a Surgeon with an idea or invention that does either one, you can find someone to help you get it to market. These inventions do not even need to be complicated, technically advanced or really even clever. For the surgeons out there: the next time you are operating, ask yourself “What do I need that will enable me to improve the outcome or save time?” The same goes for all physicians who perform procedures. What would help you save time or improve outcomes? Are You Prepared To Fail? 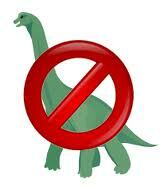 There is NOT a shortage of new ideas or inventions that warrant licensing and development. Sadly this fact has been the engine that has driven me the past 20 years. Unless you are truly entrepreneurial (in every sense of the word) do not waste your time or money pursuing your idea or invention. If you do pursue your idea or invention, be prepared to fail. It is rare that an idea or invention gets to the market. It is even more rare for an idea or invention to be financially successful. Pursuing your idea or invention is often an expensive education. Have You Really Thought This Through? 1. Do everything possible to conserve cash. Do not give up equity easily. Be aware of the valuation of your company and price it fairly. This becomes more important the more rounds of financing that is needed. In general the more milestones you have met the lower the risk to potential investors. 2. Do everything possible to minimize risk. Critically evaluate what you have and compare it to your potential competition. The earlier in the process you do this the lower your risk will be going forward. 3. Make time to pursue your “dream”. Remember, the longer it takes to get your idea or invention off the ground the harder it will be to get someone else interested in it. Best of luck with your idea, device, or quest to invent one. 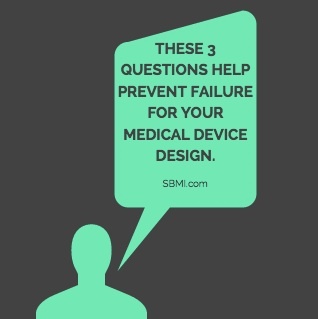 Check back in on the blog for tips and tools that I’ll be sharing to help you with your medical device voyage. Thoughts? Questions? Let me know beneath. Visit me here on LinkedIn anytime. 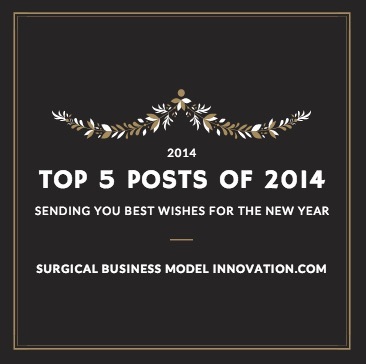 Posted on November 28, 2014 Author David	No Comments on Do You Make These 5 Mistakes With Your Quality Improvement Program? 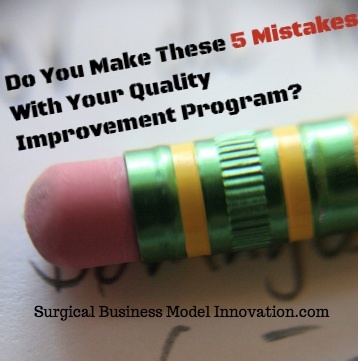 Do You Make These 5 Mistakes With Your Quality Improvement Program? This one is a classic, especially in healthcare. Some cases feel so bad (or so good) that we re-orient an entire system around that spectacular case. The problem? Responding to best or worst cases, without knowing how they fit into your overall system’s performance, actually tends to introduce more variation (and lower quality) into your system! Before responding to a case that feels terrible (or great) make sure you know the distribution of data for your system, and where this case that felt so bad fits. Remember: failure to rigorously know how your system performs means that you run a high risk of creating worse outcomes when you make changes based on one case without fitting that case into the context of your system. Here’s another healthcare classic: attributing some outcome to one person or personal failure. In healthcare, we’re trained to very much focus on our personal performance, which is probably a good thing. We’re tough on ourselves. Often, in training young staff, we focus on an illusion where, by force of personal will, the doctor involved could’ve overcome all the friction in a system to achieve a great outcome. (More on that here.) We pretend it doesn’t matter that labs weren’t drawn, the equipment wasn’t there, or that the fact it was raining outside caused 200 patients to be present in the Emergency Department so that the system was over-run. Failure to recognize the contribution of all six causes of special cause variation leads to an overly narrow focus on people to the exclusion of all else. Guess what? People are very important. However, we’ve noticed that, when the system around the people is cleaned up and aligned with the desired outcomes, that the people suddenly look a whole lot better. Often, I wonder whether the “people issues” like providers fighting in the Emergency Department, other friction between staff, and poor decision making are manifestations of a bad system. After all, when the system is repaired, a lot less of what used to be called “people issues” come up. Interestingly, every system tells a story. Data collection and visualization allow the central tendency of the situation to be appreciated. Just as importantly, the variation seen in the system (which often relates to the risk that one patient will experience a bad outcome) can be readily appreciated by collecting data and visualizing it. One fact that makes it tougher to recognize how your system performs is the focus on external benchmarks. Whether it is the regulated nature of healthcare or not, focusing on benchmarks before you’ve improved your system may lead you to accept a worse performance than you could actually achieve. Consider improving your system and eliminating defects first and then comparing your new achievement to external benchmarks. No, you can’t stop measuring government and other accrediting body endpoints (nor should you) yet you can focus on minimizing your defects to the lowest possible number before you start to respond to external benchmarks. Why is so important to get a clear, visual version of how your system performs? It allows you to make interval improvement. It allows the team to see how it performs as a whole. It makes it obvious that, without improvement, the system performs at a certain level that will have some number of bad outcomes or defects. It can make the team uncomfortable, yet the discomfort is the sign of impending growth. Consider that, if you don’t have data, you just have an opinion based on the part of the system you see…as you see it. More on that here. In healthcare, once we see our true performance we are left with the decision to improve the situation or just to attempt to ignore it. Casting the choice in this way can make us feel a little uncomfortable, and yet this discomfort often signals that we are about to break through to a new level of performance. There are some tough situations that exist out there in healthcare process improvement. One of the most difficult is when the team feels it’s doing better but in fact there’s been no real improvement. Just as tough is the feeling that there’s been no improvement, despite hard work, yet (in fact) things are improving overall. These situations point to the importance of statistical process control, because one of the most useful elements of data driven quality improvement is that it has the power to disabuse us of confirmation bias (seeing what we want to see) and other pitfalls of process improvement. Data driven quality projects allow us to see statistically significant, meaningful improvement or the lack thereof. We may even see that, despite hard work, we have yet to see improvement. In short, data driven quality improvement tells us about the performance of the system no matter what our gut may report. In order to use data to decide what to do, we need to be careful to use meaningful data. Setting up a process that collects meaningful data, supports the team’s needs, and keeps the team together in a non-pejorative manner is key. Just as important as having useful data is to remember that your quality system needs to perform ongoing maintenance. That is, once the team has improved some aspect of the program, the quality system needs to look in on that endpoint to make sure it’s still performing over time. Failure to utilize ongoing surveillance of previous improvements just allows any gains to erode over time. One nice way to express this sentiment is that quality improvement projects don’t end, they just enter a control phase. No matter which technique you use, remember to look in on your previous work at certain intervals. Be sure you check in on previous work so that you can “trim the weeds”. Do you make any of these 5 classic mistakes with your quality improvement systems? Don’t feel bad, most programs in healthcare commit at least one of these on a daily basis. I hope that focusing on the root issues in your system with a rigorous, data-driven process will allow you to see that many quality issues aren’t as simple as a mistake or poor performance by one of your staff. Meaning quality improvement that avoids these classic pitfalls can help your system progress to creating less defects and rework…then, suddenly, the people involved look a lot better! Posted on November 25, 2014 Author David	No Comments on Would You Know If You Were Incompetent? 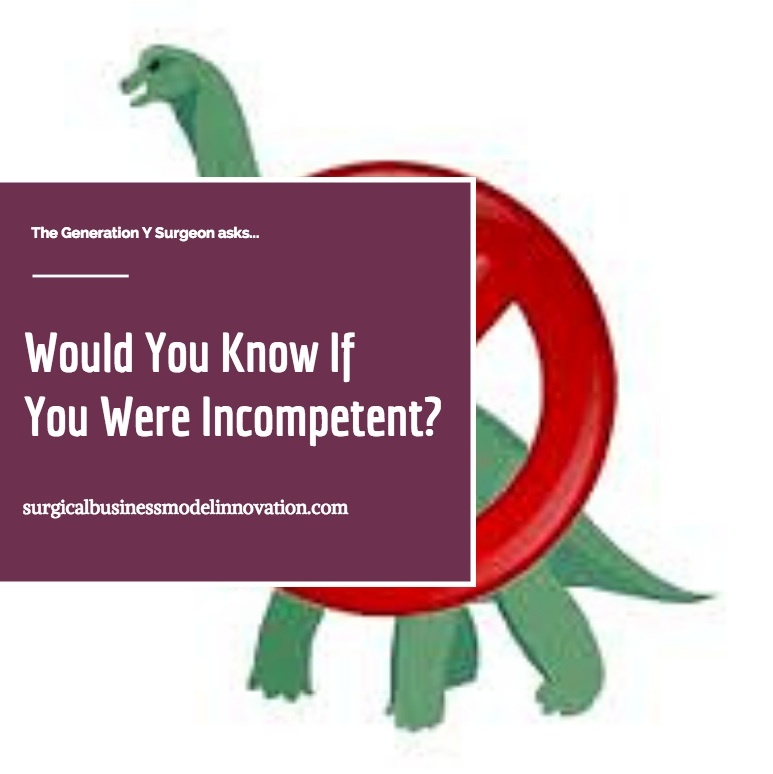 Would You Know If You Were Incompetent? There’s more to business than dollar signs and sales–a lot more. Within the broad discipline of business, there is a focus on people: how they think, how they interact, why they do the things they do and how to get the most out of each and every member of the team. Teamwork, interpersonal relations and communication can make or break even the strongest of businesses and as a result, our friends in business have invested a lot of time and energy into learning how and why individuals and teams fail or succeed. As providers we are required to function within teams. The environment is stressful, the stakes are high, the time crunch is unrelenting and our partners/coworkers can be challenging to work with. There are tools available to help alleviate these problem interactions and inefficiencies yet very few of us use them. Worse yet, we don’t even know where to look for help. For my next few blog entries I would like to share some of the concepts and skills that I have found to be most useful in the hospital and clinic. Thinking about our workplace in a different light, and learning just a few new tools to deal with people and stressful environments, can lead to positive changes…if you choose to experiment with some of these tools. I challenge you to take these concepts and ideas into your own workplace and use them to create a happier and more efficient workplace for yourself and your healthcare team. The Dunning-Kruger effect is one of my favorite proposals, especially when you think about what it means to providers, to medical education and to our own personal development. If you’re not worried about your own personal performance after learning about this then, well, you have a problem. The Dunning-Kruger effect is a cognitive bias whereby unskilled individuals suffer from illusory superiority, mistakenly rating their ability much higher than accurate. (More about it here in that classic tome of knowledge, Wikipedia.) Highly skilled people, however, tend to underestimate their competence and wrongly assume that tasks they find easy themselves are also found easy by others. In other words, the unskilled don’t realize they are inept and the skilled undervalue their skill. Again, this is a cognitive bias and it’s related to confirmation bias, meaning that people see what they want to see and ignore what they don’t want to see. Most people believe that they couldn’t possibly be wrong or less intelligent than others so they develop an artificially inflated sense of self-esteem. Unfortunately, this shields them from recognizing their own lack of skill, the extremity of their inadequacy, and the presence of genuine skill in others. For these reasons, the incompetent tend to stay incompetent. Think for a moment about what this means. Try to remember the last time you felt truly competent and confident in your abilities…were you actually competent or blinded by your own ignorance? Now think of the last time you felt inferior to your peers…was that your shining moment? So…are you second-guessing yourself yet? The good news is that you’re probably not as inept as you sometimes think you are…Yet, on the flip side, you may be lacking severely some skills without even knowing it! -M&M conferences: Providers know a lot and pay special attention to learn from mistakes. According to Dunning and Kruger however, the inept are unable to recognize their own lack or skill, the extremity of their lack of skill and the presence of genuine skill in others…did you ever wonder why so many M&M’s repeat themselves? It’s because some of the people in the audience are unable to see their ineptitudes and therefore fail to learn. Wise physicians will tell you “know what you know, and more importantly, know what you don’t yet know.” Incompetent physicians cannot fathom that there are things they do not yet know. Now you know what the Dunning-Kruger Effect is and how it affects our daily lives. You should find this concept unsettling because it uncouples perception and performance, leaving you wondering where you stand among your peers. How can you correct your ineptitudes if you don’t even know you’re inept?! Well the good news is that Dunning and Kruger also proposed that incompetent people will recognize and acknowledge their own previous lack or skill IF they are exposed to training for that skill. So keep your eyes open and embrace those feelings of inadequacy…if you don’t feel incompetent sometimes you just might be, well, incompetent! I hope you enjoyed this blog and learned a little something. Take this new knowledge with you into the hospital or clinic and use it to better understand yourself and others. And take it easy on yourself the next time you underestimate your own skill. Step 1: What’s The Value Here Anyway? Before you do ANYTHING, you need to decide what Thanksgiving means to you. What’s the value proposition? Is it the food, the time with family, the football game on TV? What is it exactly? It’s from that central decision that everything else flows…and I won’t answer it for you. Only you can decide, and decide you must, before moving on with your Startup Turkey Day. So, speaking of flight (and birds), what about Thanksgiving? (Ok the bad puns end here…) What kind of team will you need to execute the value proposition that is Thanksgiving? Did you know, for example, that there’s evidence about startup team size and eventual success? Consider, for that reason, keeping the team size to 3 or 4. More on that here. What about family? 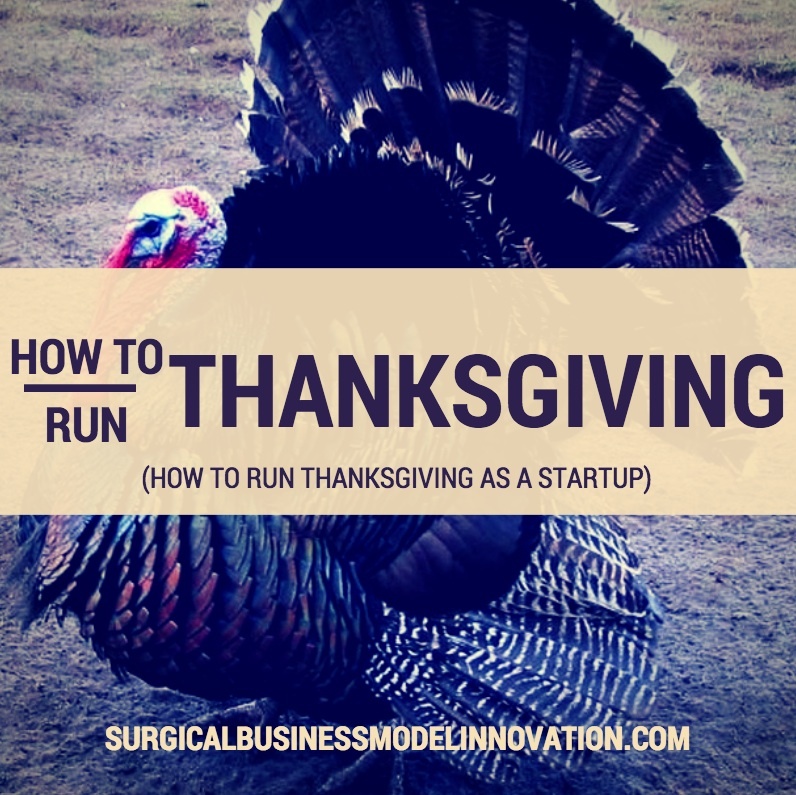 Should they be involved in your startup turkey day? Well, in general, I’d say DON’T start a business with your family(!) You can read more about it here. Yet, in this case, well…I mean it’s Thanksgiving! Probably not a good idea to keep the family out! …and, hey, be sure to involve the family members who have complimentary skill sets! Maybe one person takes care of scheduling the when and where, another handles the setup of the actual event (tables and chairs), while yet another handles the food. Don’t forget that one family member who makes the stuffing you like so much. Ok, so now the three (or four) people of the team are all together. How will you all deliver the value that is Thanksgiving? Now it’s time to use a tool to make sure you are all on the same page as to what you’ll be doing, how it will deliver value, and how you’ll do all those things to make your Thanksgiving a success. For example, one tool that works great (WAY better than those old fashioned business plans that dissolve as soon as you make first contact with the market) is called the business model canvas. You can read more about the virtues of this great startup tool here. As your team turns to the tool, think about what makes your startup unique and therefore somehow more valuable…take a moment to decide what your special sauce, exactly, will be…even if it is just cranberry. Beneath, I’ve included an example of a partially completed business model canvas for a fictitious local startup, the Boxed Up Bird Association (BUBA pronounced “Bubba”). Step 4: Like Your Idea?…Now Try And Kill It! Just as many great, much-loved turkeys meet their ends around Thanksgiving, it’s time for you to try to end your idea now…while it’s on paper and before you’ve spent any resources on it! Hey, we all fall in love with our own ideas. Now that you and the team have explored how you will deliver your Thanksgiving value proposition, it’s a good idea to try and figure out all the ways it won’t ever work. I tend to start with the Costs and Revenue section at the bottom of the business model canvas. Maybe you’ll start with what it will take to get “customers” to participate in your greatest-Turkey-Day-ever experience. Do customers even exist for this sort of thing? And how could you know or find out? For costs, I use worst-case scenario costs. Seriously, we’re dealing with a brand new, never-been-tried scenario here. It may even be an industry you haven’t been in before. You lack info. There’s uncertainty. Plan for the worst as you figure out what costs it will take to make BUBA (or your personal Turkey Day Plan) go! The idea behind all this is the recognition that your startup is an experiment. You have unknowns that you should try to quantify as you constantly (and quickly!) learn. However, despite trying to minimize the unknown, you never really know how things will play until you run the test and loose your Turkey day startup on the real world. So, plan accordingly! If your idea survives this ruthless barrage of cost-loading and planning for worst-case-revenue, then move on to the next step. If it doesn’t, or it looks bad now (a wounded turkey but one that’s not dead yet in the best Monty Python sense), re-think what you’re doing! It’s much easier to pivot / adapt your business on paper before you’ve spent any money. Guess what, if BUBA (or your personal Turkey Day startup) takes off it is going to be TOUGH to keep all the players on the team aligned. From experience, let me say that now is the time to make sure you and all the teammates will be rowing the same direction at each stage of the company’s growth. When Aunt Maud’s awesome Thanksgiving whipped potatoes are a huge success 5 years in the future, that is NOT the time to sort out which team member contributed to the Turkey Day’s startup success. Do it now! How do you keep everyone aligned? There are some really great tools for that such as dynamic ownership equity. Check them out and use them now! Look here. After all, one of the most common reason startups fail is mis-alignment of team members. Use the tools and avoid this terrible issue that seems to magnify as the startup goes on. Wow…all this because you decided to think about what Thanksgiving meant to you, and then you realized that the feeling of family and togetherness should be shared with everyone. You really signed yourself (and your team) up for something here, didn’t you? A classic (and very functional) recommendation is that you should fund your new business with 4-5 month’s worth of “runway”. That means, pretend your business won’t have ANY revenue for 4-5 months and yet will incur all of its costs. After 4-5 months, if your fledgling startup (sorry about another bird reference—promise about no puns violated) isn’t at least breaking even then re-evaluate the startup. Is time to pivot / adapt the business, or is it time to call this experiment unsuccessful and to move on? Conclusion: However You Do It—Happy Thanksgiving! If nothing else, putting this much thought into Thanksgiving allows for deep learning about what you really value in the day. Is it time with family? Is it giving thanks for what we have and sharing that feeling with others? Maybe it’s the food and football! Whatever it is for you and yours, have a Happy Thanksgiving from me and your friends at the fictitious Thanksgiving startup non-profit…The Boxed Up Bird Association (“Bubba”)! For all you physicians, surgeons, and healthcare providers out there: I’m the guy who works to make sure your equipment does all it’s supposed to for the care you give to patients. Stapler misfire? Broken laparoscope with lines on the screen? I’m the guy for that stuff. 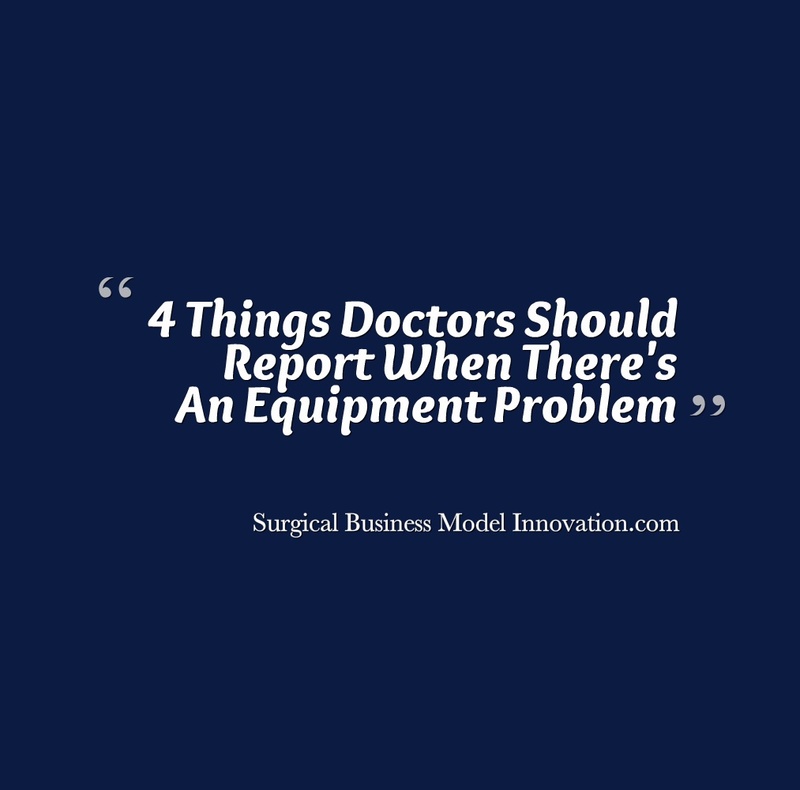 Let’s talk about how equipment problems are reported so that we can work together to make sure that we don’t have equipment issues that hinder your ability to do the best you can for us–the patients! Data is everything to a Quality Engineer, and when a Medical Device Report (MDR) is received we must follow a strict procedural approach to reveal the root cause. Often the information received is ambiguous and actually hinders a proper investigation! The Failure Modes Effects Analysis (FMEA) are updated, Statistical Process Control (SPC) is analyzed, and Control Plans are reviewed…but the true value of the report is diminished when a reactive approach is taken and the preventative opportunity lost. Let’s talk about some of the ideas that may diminish the best reporting possible. Medical device manufacturers are doing it for the money! True, but remember at the same time device engineers strive to deliver perfect products that meet the customer’s requirements and provide a positive, memorable experience. It’s for the docs, the manufacturers, and the patients. (Don’t worry, I know there’s a patient at the end of the stapler!) In manufacturing medical devices we choose to follow a difficult and costly path riddled with risk. We imagine being the patient who requires perfect quality the first time, every time, but our best efforts are only as good as the data collected from the field. I often wonder what percentage of mandatory reporting is misrepresented or the adverse event occurred during misuse and ultimately a misunderstanding of the devices design capabilities. Please help us understand the problem and we will fix it at any cost! One MDR can take a year to resolve and is worth every second! Without being specific, I have worked an entire year to improve a product without a single change to the design. The cost has yet to be realized, but $1,000,000 is a conservative estimate and will absolutely be captured in our cost of quality metric. In this example, different tissue thicknesses were evaluated and countless tests were completed to improve the device’s performance envelope. To validate the smallest process change, several thousand devices were assembled and tested in the predefined manner outlined with the devices approval. Imperceptible to the user, this device will now function in applications never imagined or planned for. This duration could have been reduced, but one MDR with very little information is all it takes to spend a year putting the pieces together. The next time a surgeon reaches for this device the last thing I want is the distraction of failure in their mind. Surgeons, help us help you! Capture every detail: There is no technical detail we can’t unravel, and we will consult your peers to understand any situation. The more relevant detail the better we will serve you and this information may be passed down several times before it reaches the appropriate subject matter experts. Don’t be afraid to use that extra page provided to describe what happened. Include technique: When we set out to recreate the failure, your experience must be clear. We want to test devices in an accurate manner and this information is paramount. If a surgeon describes their experience firsthand, we won’t assume anything. Query your peers: Before committing to the content, consider every perspective of your surgical team. Perhaps they will add value and reveal something unperceived. Pictures speak a thousand MORE words: The most successful investigations I have participated in included reports that were accompanied by pictures. You may be contacted by the device manufacturer and pictures will always be valuable. So, to all you healthcare providers, I want to say hello and let you know about what we do to make sure all those devices out there do the right thing for the first time they’re used and every time they’re used. Thoughts, questions, or comments? Let me know beneath! Signing up allows us to send you the newest Healthcare Quality Improvement content first. We respect your privacy and will not share your email address. No spam ever!